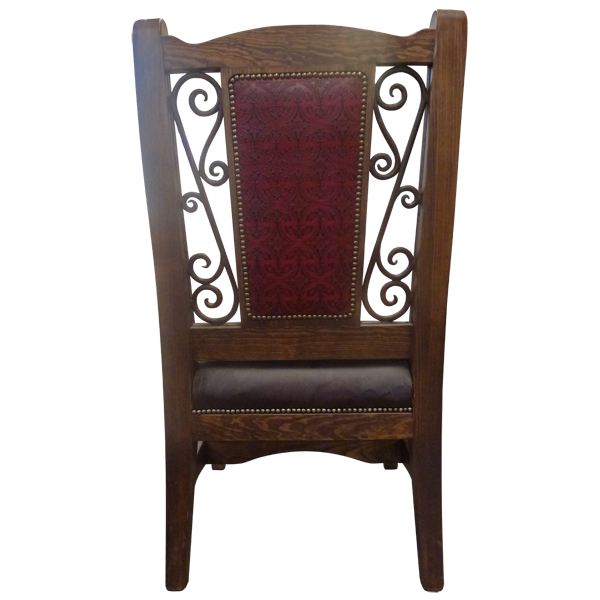 The seat back of this Spanish colonial style, handcrafted chair has a curved top rail with a single splat, centered between gently splayed uprights. On both sides of the center splat are hand forged, curved, iron designs. 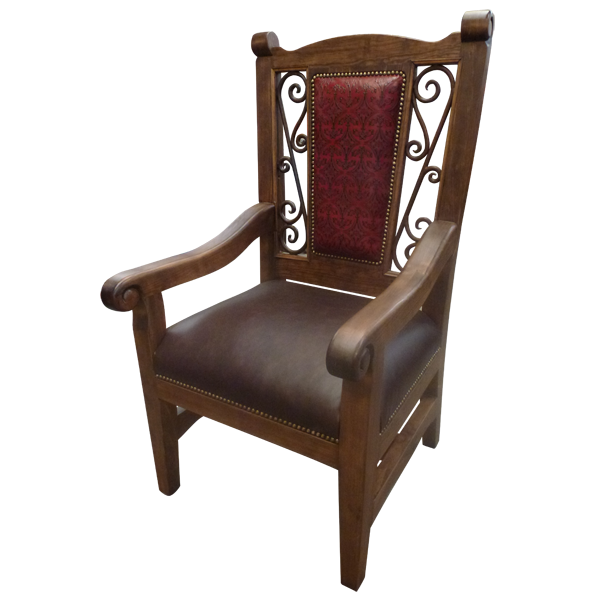 The chair´s beautifully finished curved armrest end with hand carved scrolled designs. 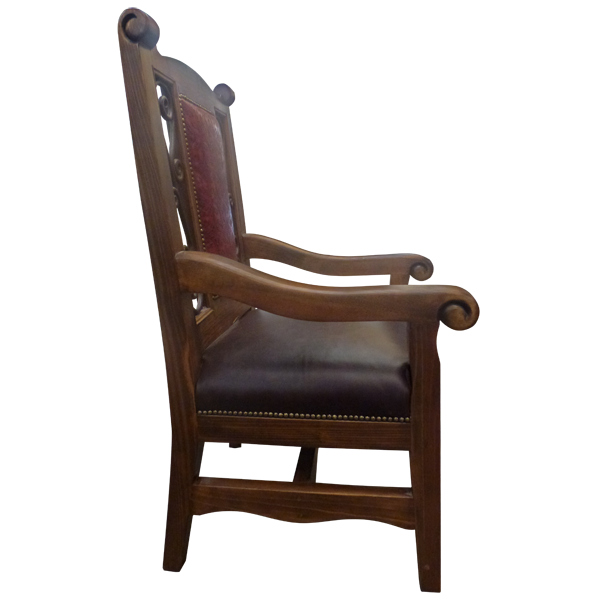 The chair rest on straight, solid wood legs, joined by a solid “H” stretcher. 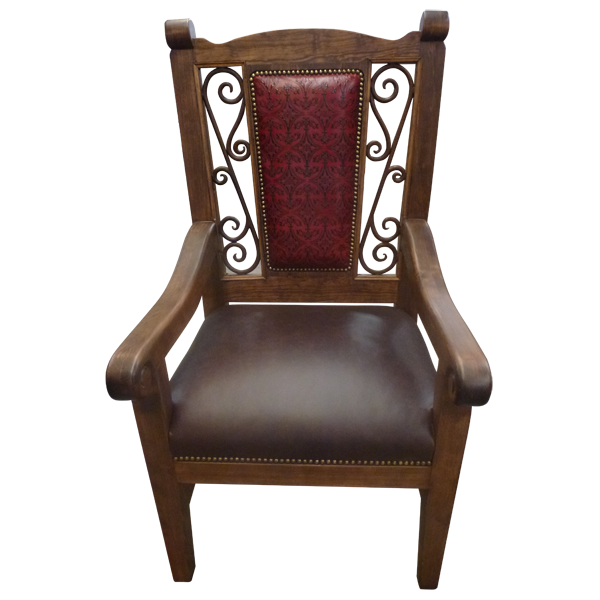 The seat cushion is upholstered with rich, brown, full grain leather, and the splat is upholstered with wine colored, full grain leather. The leather upholstery is precision hand tacked to all sides of the seat and seat back with decorative nails. Both beautiful and durable, the chair is made with the best, sustainable, solid wood available. It is 100% customizable.